Profession… human resources representative for Dunder Mifflin Paper Company. Toby is reasonably well-liked by everyone except branch manager Michael, who hates him with a passion. The source of Michael’s strong distaste isn’t entirely clear, but it may be that as the H.R. rep from Corporate, Toby is the only one in the Scranton branch who can hold Michael accountable and keep him in check. This makes him the bane of Michael’s existence and the sounding board for everyone else’s complaints. Interests… idle entertainment, such as hard-boiled detective movies, Say Anything, The Shining, Toy Story 2, Annie Hall, short stories, the TV show Damages, etc. Really, anything to distract Toby from his often miserable existence. Relationship Status… divorced and hopelessly in love with co-worker Pam. When Pam broke up with Roy and Jim (who also had a crush on Pam) transferred to Stamford, Toby thought the stars were aligning for him, for once. But when Jim came back and started dating Pam, their PDA was too much for Toby to handle, causing him to put out a memo banning such displays in the office. If things get worse, though, Toby could always move to Costa Rica. He certainly talks about it enough. Personality… a sad sack. Perhaps chalk it up to bad luck, but the guy is a walking tragedy. He’s basically accepted his ill-fortune at this point, expecting bad things to happen to him. While the rest of the staff mostly likes him, Toby’s too beaten down by life for it to make much of a difference in his outlook. 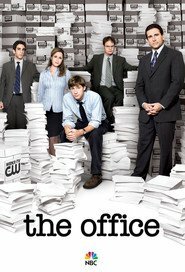 Toby Flenderson's popularity ranking on CharacTour is #1809 out of 5,000+ characters. See our top-ranked characters and read their profiles.